In response to the new report by the Marine Conservation Society, which shows a 50% increase in wet wipe litter on Britain’s beaches, Landia says that this clearly underlines the need for truly genuine non-clog pumps. According to long-established (1933) pump and mixer manufacturer, there are too many misnomers in today’s product descriptions. “Too many wet wipes and too many pump manufacturers claiming that they’re pumps are supposedly non-clog”, said Landia’s Hugh Vaughan, “No wonder this latest report from the Marine Conservation Society shows what a big problem this is”. He added: “Only pumps designed with an external knife system can actually cut up those infuriating wet wipes before they enter a pump’s casing. We see no shortage of pumps that claim to be non-clog – and they are true to their word – they don’t clog - until that is the second something vaguely solid comes into contact with them! Regular pumps can handle basic sewage, but they simply cannot cope with the tough synthetic fibres of wet wipes”. 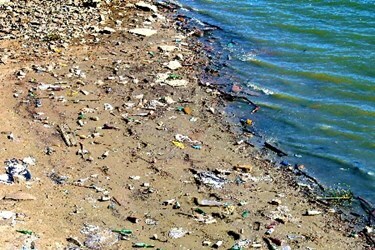 Commenting on the Report, the Marine Conservation Society’s Beach Watch Officer, Charlotte Coombes said: “Our sewerage systems weren't built to cope with wet wipes. When flushed they don't disintegrate like toilet paper, and they typically contain plastic so once they reach the sea, they last for a very long time. They can cause blockages in our sewers, and then, everything else that has been flushed down the loo can either back up into people's homes, or overflow into rivers and seas”. 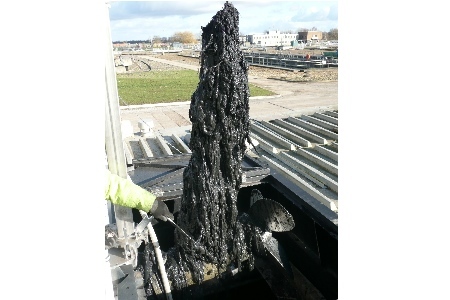 Among numerous successful installations to have overcome the wet wipes phenomenon is a 6” Landia Chopper Pump that is helping Thames Water improve its handling of stormwater at East Hyde sewage treatment works near Luton, where wet wipes have been a prime sewer abuse offender. Still working – despite the wet wipes. Following installation of the 6” MPTK-I 150 series Chopper Pump (30kW, 1500rpm), Thames Water has since purchased two more of the Landia units, which are especially suited for the pumping of wastewater and sludge with coarse solids. Similarly, at a Worcestershire sewage treatment works notorious for rags, Landia’s Chopper Pumps have helped Severn Trent Water significantly enhance the throughput at one of its pumping stations. Traditional prop-shaft pumps and later, dry-well submersibles were unable to cope with solids from Powick and two neighbouring villages, resulting in costly blockages and downtime at least once per week. But following the installation of a Landia chopper pump, there hasn’t been a single blockage.